Jack Pahadi House in Sila Village of Pauri Garhwal, located near Gumkhal, is promoting local culture, heritage with sustainable and responsible tourism in the region. The home stay offers majestic views of Himalayas with home made Indian and traditional Pahadi (Garhwali) cuisines. Jack Pahadi House is offering 2 Nights and 3 Days Package. You can check the package here: Weekend Tour of Gumkhal and Lansdowne. Complete Information Guide of Hotel Jack Pahadi House in Gumkhal Uttarakhand. Online booking details of Jack Pahadi House hotel with latest Packages, Tariff with 2018 season and off-season Discount Offers in Gumkhal. 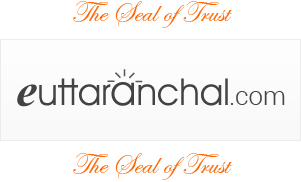 Get Gumkhal Jack Pahadi House eUttaranchal reviews, feedback, location, how to reach, room information with pictures. There 3 rooms with common washroom area. The rooms are very basic and in budget category. In Jack Pahadi House you can also enjoy camping and stay in tents as well. Jack Pahadi House is located in Sila Village, just 20 kms from Gumkhal on Rishikesh Road. It is 33 kms from Lansdowne, 29 kms from Jaiharikhal, 51 kms from Kotdwar, 253 kms from Delhi (Anand Vihar), 67 kms from Rishikesh, 87 kms from Haridwar, 82 kms from Jolly Grant Airport in Dehradun and 107 kms from Dehradun. Jack Pahadi House can be easily reached by road transport. You can check how to reach Gumkhal.